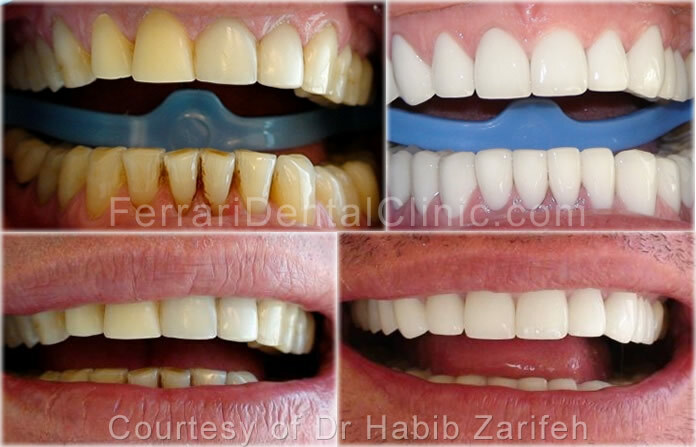 You can get a healthy, natural, permanently white Hollywood Smile with the latest technology available. Our privilege is to offer a 5 years warranty by the Cerinate Lab. USA on all of our prosthetic dental work. Beautiful, Confident, Unique... That's your Ferrari Smile! Lumineers in 6 days: Ferrari Dental Clinic is the Only Official Affiliated Lumineers Clinic in Lebanon. Case 1: This 40 years old patient had always been embarrassed by her smile. That all changed in two visits. she had a full mouth lumineers placement. it took less than a week to change her smile! Case 2: This 43 year old patient wanted to give herself a younger, gentler smile. Her smile was changed by making some changes to the shape of her teeth using Lumineers which gave her a more even and regular appearance. Case 1: This patient was complaining about the excessive brown and white areas on her teeth. these stains are a typical sign of fluorosis. 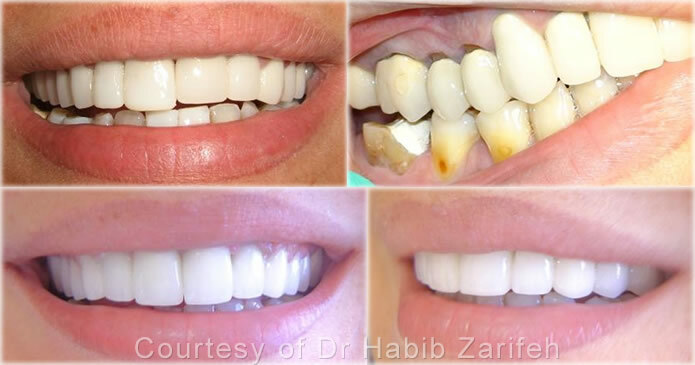 Composite veneers were placed in order to give her a more aesthetic look and a more confident smile. Case 2: This 20 year old patient was complaining about the shape of her central incisors and the size of her lateral incisors that appeared too short along with a bad bite. She was interested in a quick- fix and immediate results. 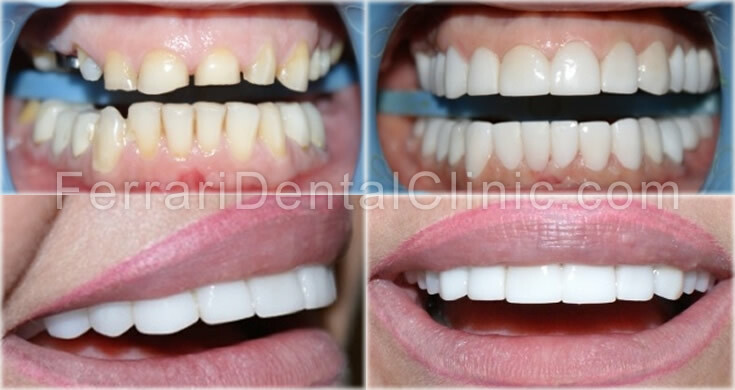 Composite veneers idealized the shape of her anterior teeth and also served as a way to correct her bite which gave her the perfect smile she always wanted! Case 1: This patient was suffering from the effect of poorly- shaped unaesthetic old crowns. Her right central incisor was longer than the left central incisor. She had decay under her crowns and posterior gum recession. In order to change her smile , zirconium crowns were placed to give her the youthful celebrity smile she wanted. Case 2: This 35 year old patient decided to replace her old ceramo- metallic crowns with zirconium crowns as a means to idealize the shape, color and alignment of her teeth. 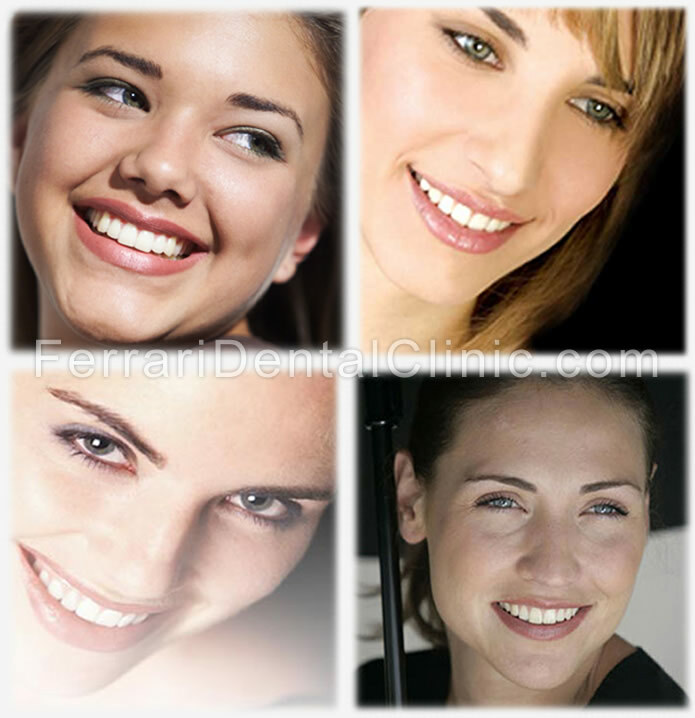 At Ferrari Dental Clinic Your Hollywood Smile comes with a 5 years warranty!